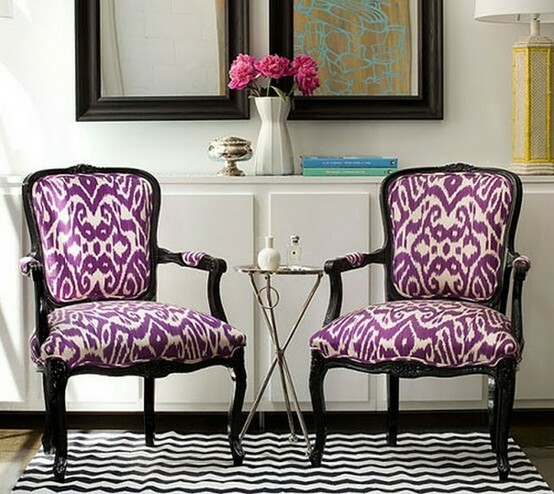 Ikat looks great as fabric on chairs...loving the chevron rug too. What about as a fabulous print on a dress!? These Anthro bowls are uber versatile...I want one in every color they come in! 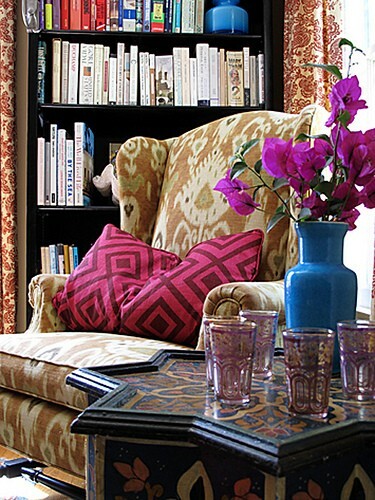 I love ikat on the curtains and pillows...the two compliment each other perfectly, don't you think? Also as a tablecloth...love this idea for a party! 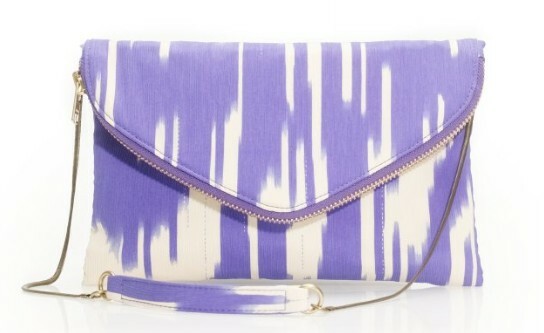 And I'm pretty sure I need this J.Crew purse...the ikat is subtle and lovely. 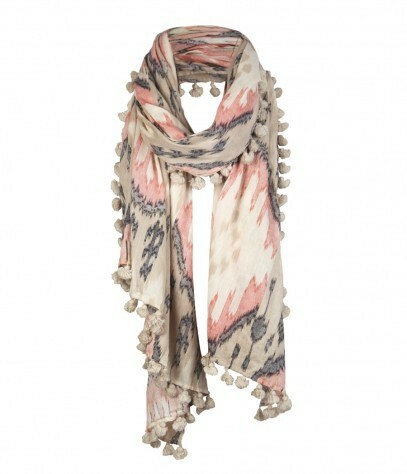 For those of you that know me...you also know how much I love scarves...this one is so SO pretty! Isn't this final space stunning?? There are many things to love about this space, but certainly the ikat stool is not to be missed. love everything about this post! I need the purple chairs, the pink ones, the jcrew purse and that that pink and orange table set up! That last picture is so gorgeous! And I've been wanting those ikat Anthro bowls, they are just perfect! 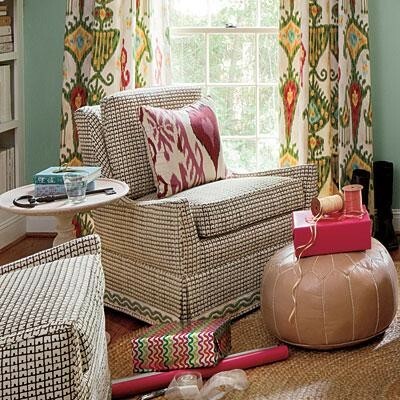 Yes, yes, I do love me some Ikat! These pictures make me want it in everything too!! AH! 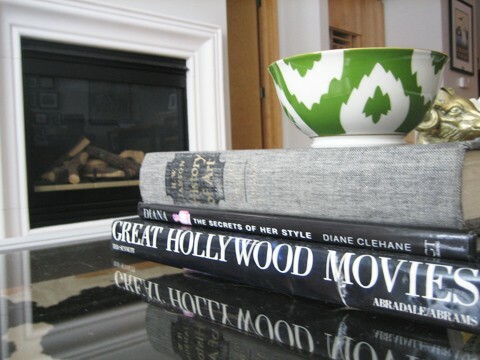 so many great finds, i love the bowl, scarf, clutch and table cloths! xoxo jillian:: don't miss my fishs eddy dish giveaway! I heart everything you picked! Need the jcrew bag! The Scarf is HOT! I'm loving this trend too! i NEED those chairs and that dress!!! Beautiful chairs & patterns! I love this post. I NEED that scarf. Gorgeous finds! I still love it too!! And probably won't ever not love it(hopefully). I just love it. It really adds something to a wardrobe. Oh I love this post! 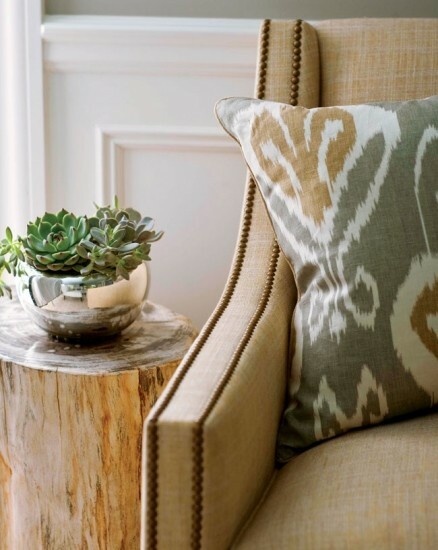 I have been on the hunt for some ikat pillows and can't decide on the perfect ones! Such great inspiration! I adore this pattern as well. Love that scarf!! I've been on the hunt for the perfects print or pops of color in my living room and keep coming back to ikat. so lovely! i love it!! the little anthro bowls are adorable. I adore ikat! 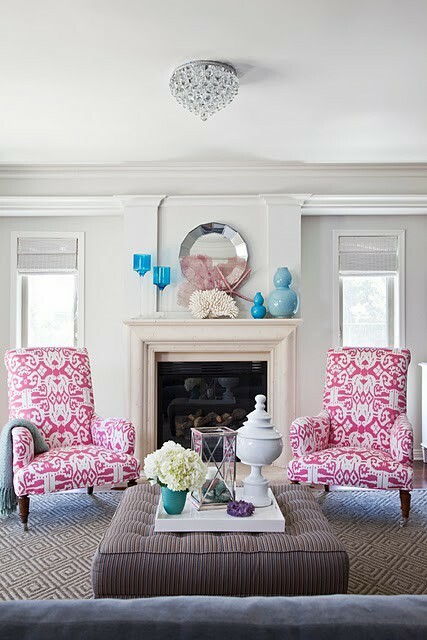 Great round up of photos, pinning some now:) I am dying to recover some old wingback chairs my parents gave me in an ikat print if I can find the right color! I need something ikat myself. I have been eyeing a scarf at JCrew. Ikat never gets old to me- I love it! 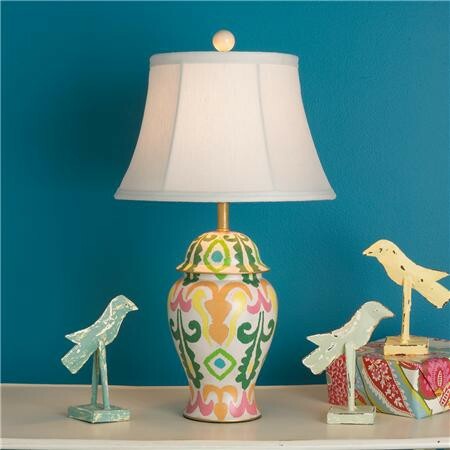 That lamp? Obsessed! Love it, I'm posting the first photo to my blog! 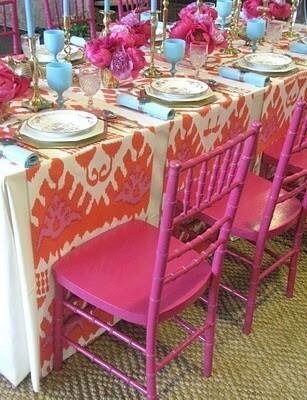 Love anything ikat - the bowl, awesome dress, table runners and stool are my favorite here. 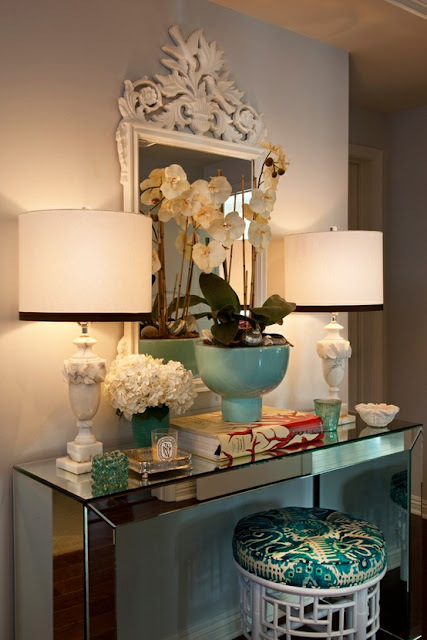 Beautiful decor! i love the pic with the fireplace. I soooooooo want the chairs and rug from the first pic! It's a crowd favorite...that's for sure!! (: Loved this when I posted and still love it. I think you're right...this is a trend that'll be around for a while!